Here are a few shots and bits of dialogue from the trailers for A Good Day To Die Hard that didn’t make it into the final film. I hate it when movies do this. Assume some spoilers for the film follow. Early on in the trailer, a woman is seen stripping out of a leather suit after riding a motorcycle. These shots in the trailer do not appear in the film. 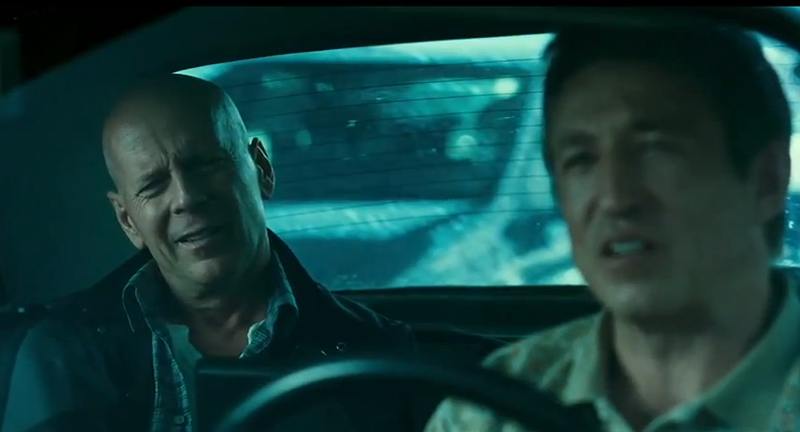 Dialogue between McClane and his cabbie is different. The “Are you a cop?” exchange doesn’t take place in the film at all. 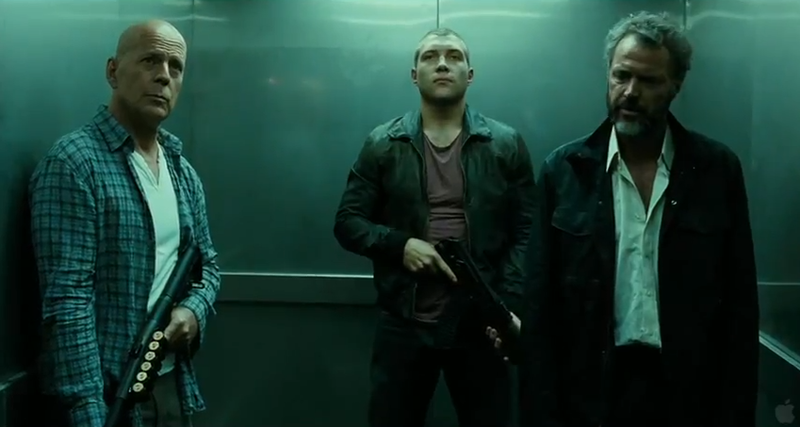 Instead of the “I could’ve done that” that he says in the film, McClane junior says “Don’t encourage him” in this elevator scene. In the film’s climactic action sequence, McClane and McClane junior jump through a glass window through a glass ceiling and into a pool. This shot in the trailers appears to be taken from that scene (John McClane’s clothing matches), but I don’t believe this shot appears anywhere in the film.